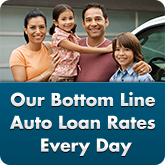 0% introductory APR for 12 months on purchases and balance transfers. Standard APRs starting at 9.90% for purchases, and 11.90% for balance transfers. 10,000 Bonus Mission Rewards points when you make $1,000 of purchases in the first 90 days. Enjoy a wide variety of options, including cash back, gift cards, airline tickets, hotel reservations, merchandise, local sports and theatre tickets and much more. 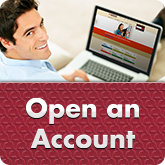 Have your Credit Card questions answered and see how easy it is to get started. 0% Introductory APR for 12 months on purchases and balance transfers posted within the first 90 days of a NEW Mission Fed Mastercard Platinum or Preferred Platinum Credit Card Account opening. After that, your standard APR for Preferred Platinum Credit Cards will be 9.90% for purchases and 11.90% for balance transfers; and for Platinum Credit Cards, 11.90% for purchases and 13.90% for balance transfers. The balance transfer fee is either $2 or 2% of the amount of each transaction, whichever is greater. Plus 10,000 Bonus Mission Rewards points for those who have at least $1,000 in purchases that post within 90 days of the Credit Card Account opening. Use your Mission Fed Platinum Credit Card with Apple Pay, Samsung Pay and Google Pay using a supported device, and you’ll be able to make easy and secure payments with just the touch of your finger. 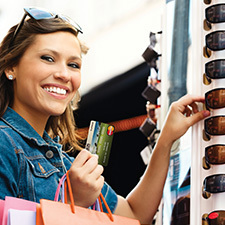 When you add Mission Rewards to your Mission Fed Mastercard Platinum Credit Card, you’ll earn points with every qualified purchase for a wide variety of exclusive rewards including cash back, gift cards, airline tickets, hotel reservations, merchandise, local sports and theatre tickets and much more. To enroll in our Mission Rewards Credit Card program, call us at 858.524.2850 or 800.500.6328, or visit any branch, or send us a secure message within Online Banking. Once you’ve been approved, you’ll need to make a small deposit of $25 or $100, depending on the Account, and you can begin using your new Mission Fed Checking Account right away! Use your card everywhere Mastercard is accepted around the world! 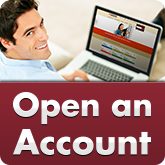 Check your purchases, balance and pay your bill online with Online Banking. You’re always welcome to talk to a Mission Fed representative for personalized assistance—we’re right here in San Diego. We also offer instant issue for a new or replacement card at any of our branches. Our fraud text alert service lets you connect your Mission Fed Debit or Credit Card with a mobile phone so that you can instantly verify suspicious transactions on your card. Learn more. Or you can call us or visit any Mission Fed branch. Choose the time and place that's convenient for you with our easy online reservation system. 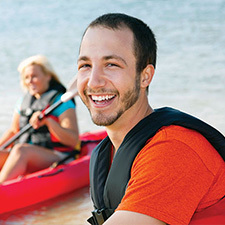 Travel Accident Insurance Provides coverage up to $1 million. More people are shopping online than ever before. Be sure to make your online shopping more secure with the benefits of Mastercard SecureCode. Learn more. Mastercard is a registered trademark of Mastercard International Incorporated. Certain terms and conditions apply. Choose Mission Fed for your San Diego Platinum Credit Card and more. A Mission Fed Platinum Credit Card offers Zero Liability protection against unauthorized purchases, Travel Accident Insurance, Price Protection for qualified purchases and ID Theft Alerts. Contact us today to learn more about our Platinum Credit Card benefits. 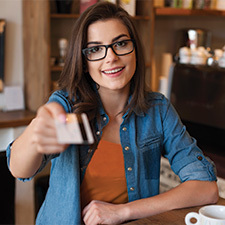 For Mission Rewards, qualifying purchases exclude cash advances, returns, traveler checks purchases, balance transfers, overdraft protection advances, convenience checks, fees of any kind, unauthorized charges and ATM transactions. No annual program fee. See Mission Fed’s local rules and Terms and Conditions for complete details. You’re leaving MissionFed.com to go to the website of our credit union partner, Mastercard, who provides Mastercard ID Theft Alerts™ and other services of ID Theft Protection™. Take a look at the benefits of a Mission Fed Classic Credit Card: low rates, no annual fee, Mission Rewards and all of the advantages that come with a Classic Mastercard.